Girl is NOT a 4 Letter Word: This Vert Silver Medalist Gets A Pro Model! This Vert Silver Medalist Gets A Pro Model! Big congrats to Arianna Carmona who just received her first pro model skateboard from Moonshine Skateboards! 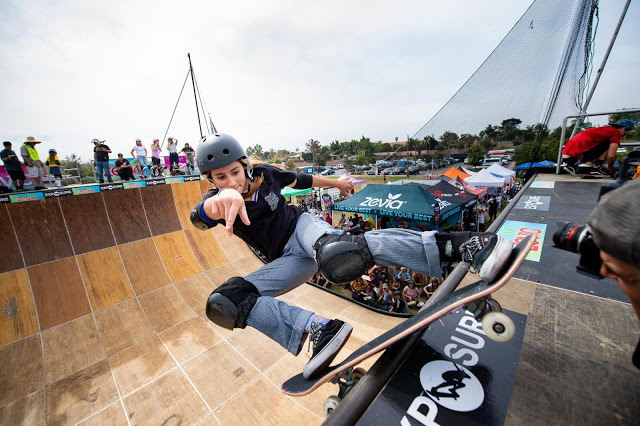 Arianna won a silver medal at the Vert World Championships in Nanjing, China in 2017, and she has been on fire this year, taking second place in vert this past October at Exposure Skate. 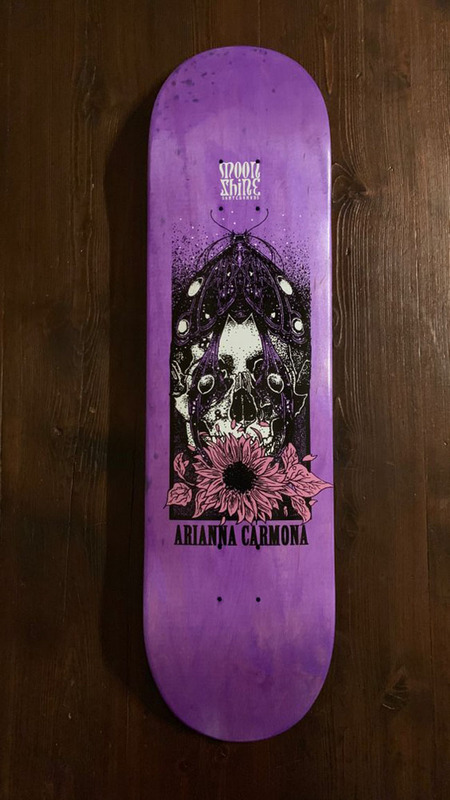 The Arianna Carmona "Death Moth" is 8.25 x 32.5 with a 14.75" wheelbase, the deck is stained and handcrafted in the USA by Drifter MFG with silk screened graphics. It's a small batch run, so get yours quick! Comes with stickers and pin. It's a gorgeous board and should be fun to ride too!